Our accessories kiss your toolbox good-bye – the ready-for-use complete ISO cables harnesses for all Plug & Play amplifiers make the installation quick and foolproof without having to cut, insulate or solder a single wire. It doesn’t get any easier than this! 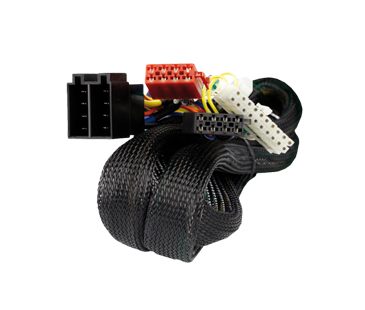 For car radios without ISO connectors an additional ISO-adaptor (PP-AC cable harness) is needed, which has to be connected between the ISO cable harness (PP-ISO) and the car radios. The needed ISO-adaptor can easily be found in ouradaptor database.